It’s porch season, friends! Whoo-hoo! Y’all know this makes me happy. And, truly, I hope wherever you are has given you some beautiful porch days too. We’ve had dinners and conversation and popsicles and dirt and sticks on our porch – and that’s just how I like it. We started the month with a much-needed Spring Break, which included much down time, time with friends, and a semi-annual trip to the allergist who told Ben he can be finished with allergy shots. After FIVE YEARS of shots, that was welcomed news for both the patient and his taxi driver. We’ll see how this summer goes, but I already know he’s better for having endured all those shots. The week after Spring Break, Cate and I got to spend two whole days together with her class in Frankfort. The middle schoolers had been studying state history and government, so it was a great field trip for them. And it was a great trip for this momma, who loves state government and welcomed the time with just my oldest. The following weekend we joined with our best friends for a fundraising trivia night that’s become a favorite tradition. We’re six years in with this team, including matching T-shirts the past two years. And we’ve won three times, including the current two-year streak. We also came in second one time after losing on the tie-breaker. We also celebrated Greg’s 41st birthday, Cate and three classmates qualifying for the state National History Day competition with a documentary they made about the 1893 Chicago World Fair, and Greg’s grandma’s 90th birthday. Splash swim goggles – These goggles are the best googles there ever were in any pool (or bathtub – yep, my kids have used them there this winter!). They don’t get stuck in hair or fog up, plus they stay on well. My kids (who are almost 12, 9, and 3) obviously have different sized heads and these work well for all of them. Minivan Moments Family Podcast – The conversations Cate and I have had lately about technology, friendships, and school are important, but I’m realizing I need other people to echo the same truths. Yet I’m picky who speaks into my kids’ lives. When I find a resource that works well, I want to share it. This new podcast is for teenagers and their parents. “Say You’re Sorry” by Melinda Leigh – I love discovering a new-to-me author who has a series and then reading one book after the other. I was introduced to this first book in the Morgan Dane detective series because the Kindle version was free with my Prime membership. I’ve read three books in this series and plan on reading more. 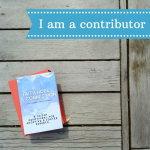 “It’s A Love Story” by Lincee Ray – Author Lincee Ray had me laughing, thanking God for all the little things I love in my life, and remembering where I feel at home. I especially loved the chapters on serving others and how we don’t have enough romantic comedies these days. And I’ll never hear Black Eyes Peas’ “I Gotta Feeling” the same. That’s what Lincee does. She takes a pop culture reference and makes it relevant to a bigger picture and more entertaining than it would be otherwise. Plus, like me, she’d choose Pacey Witter over Dawson Leery any day. (GIVEAWAY ALERT!) 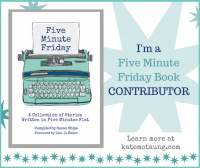 This is a new book that officially releases next week, but you can read my full review and enter to win one of two copies I’m giving away in a post earlier this week. “Those Who Save Us” by Jenna Blum – I read this World War II novel in the cracks of my days. I started it in a hotel room one week, had it out with me on the porch two afternoons the next week, read a little bit while I was drying my hair and as I could in parking lots between commitments and errands on the day I had to finish it. “Had to” because I was so completely pulled in. This is a hard story. I mean, what novel set in a war isn’t? But it was certainly worth stealing time as I could to take it in. There’s love and loss and grief and fear and silence and hope in these pages. PLUS I was able to read it free on my Kindle with my Prime membership. “Unplanned” – I knew Abby Johnson’s basic story before I watched this movie. Her story involves two abortions, ascending from volunteer to director of a Planned Parenthood clinic, having a baby, quitting her job, campaigning for pro-life causes, and having more babies. Even knowing where this movie was going, it was hard to watch. Yet I’d recommend people watch it. It’s educational and the story involves such redemption. And I went with friends, which was fun! There’s also a book by the same name, if that’s more your thing. 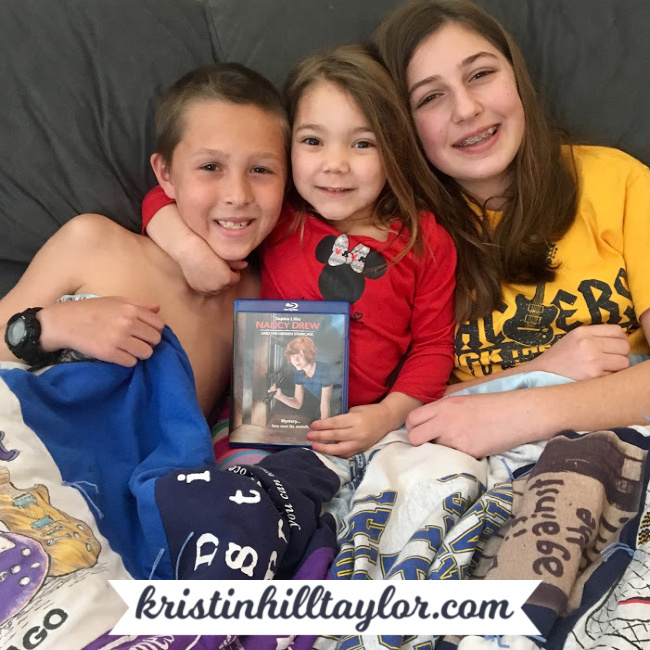 “Nancy Drew and The Hidden Staircase” – We started off Spring Break with a movie that seemed well suited for both my sixth-grade girl and third-grade boy. I was right – they both enjoyed it. What’s happening on your porch? 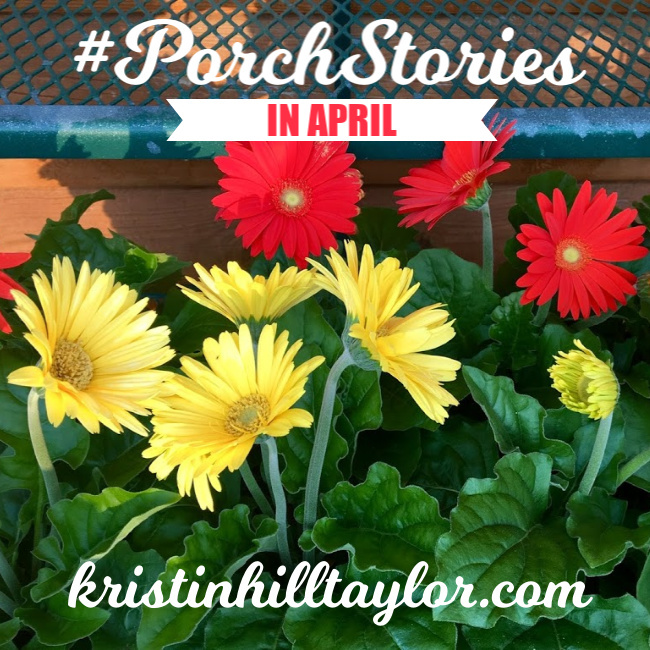 Tell me your stories from April! November included some of my favorite traditions – Friendsgiving and our Christmas Tree Hunt. Surprisingly, it also included a snow day. November also means Thanksgiving, Ben’s birthday, and National Adoption Awareness Month. 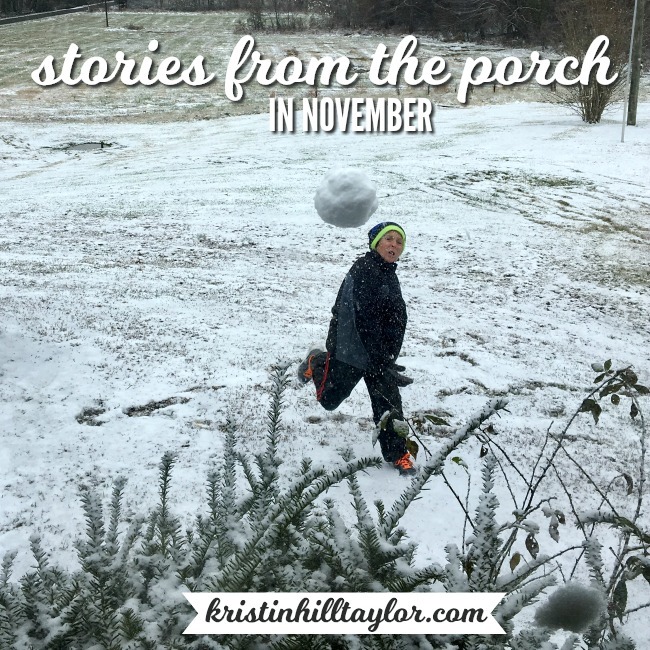 This month’s view from the porch is actually my son throwing a snowball at the kitchen window while I was watching the kids enjoy the early snow that gave them a day off school. In 2011, we started cutting down our own Christmas tree on my mother-in-law’s land. Then we moved to the country and continued the tradition on our own property. 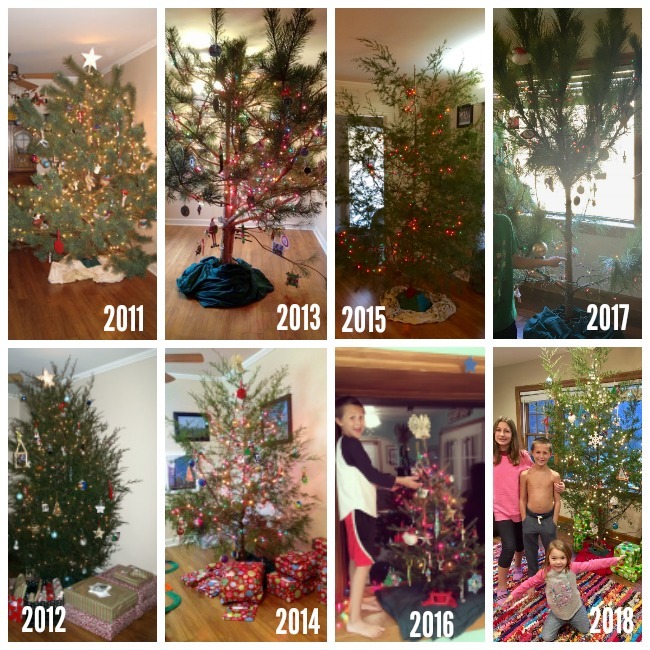 Thing is, these trees weren’t raised and trimmed to be Christmas tree, so we’ve had unruly trees right in our living room. Despite all my Type A ways, I really love the perfectly imperfect trees. They help me enjoy the holiday season more. The perfectly imperfect one from 2013 may have been my favorite tree. You can read about the adventures from 2011, 2012, 2014, 2015, and 2016 too. With November having five Thursdays, we have more time after Thanksgiving before December begins. This is the earliest we’ve ever put up our tree, but that’s just how the calendar worked out. And I’m not sad to ease into December. Earlier in the month, went to see Zach Williams and Matt Maher in concert. It’s one I’ll remember for a long time. Of course, I shared about that in a post too. 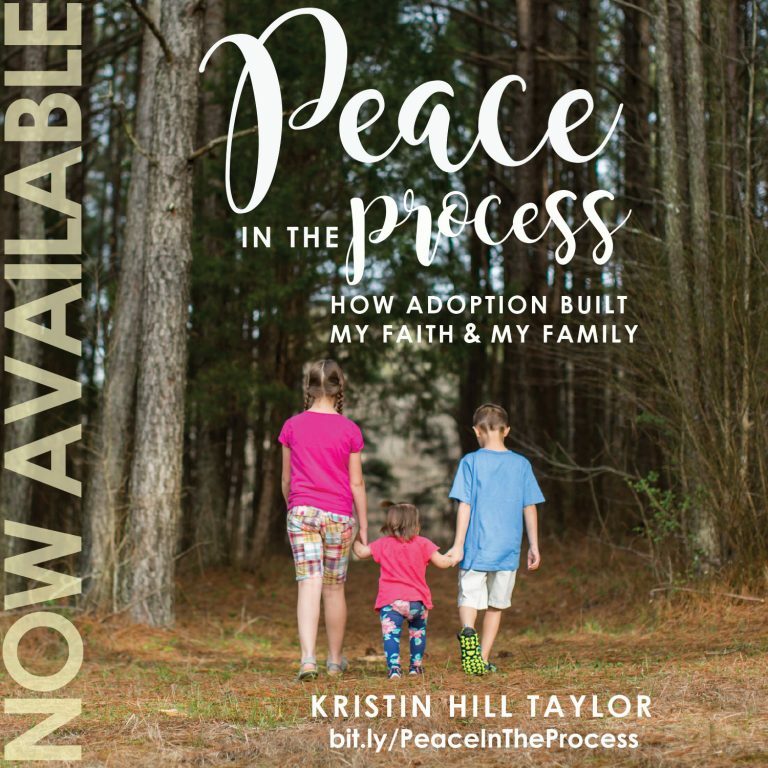 In honor of National Adoption Awareness Month, I shared about our past Novembers, offered a free download of the Kindle version of my book (that 173 of y’all downloaded! ), and welcomed two friends to share their stories on my blog. (If you missed those, Kelli shared about how waiting for and adopting her daughter gave her passion for other mommas that she’s turning into a ministry and Michaela shared about how God unites families for his glory.) I also got to see “Instant Family” with some of my dear friends. Good Grit magazine – I heard about this on That Sounds Fun because Annie Downs was the guest editor of the November/December Beholden issue. It’s a beautiful magazine filled with so many lovely stories. The actual magazine even feels beautiful. I’m happy I subscribed. Magazines in general have been among my favorite things this year. I currently also subscribe to Southern Living, the Magnolia Journal, and the Pioneer Woman’s magazine. Canvas pictures – I really love documenting our memories on our walls. My new canvas is a favorite addition. And I’ve actually added a couple things to the gallery since I took the picture in this post and have another canvas (which I got free during Black Friday sales!) on the way. Thirty-One’s Casual Carry-All – I’d been on the hunt for the right everyday bag. I wanted it to be big enough for my planner, Kindle, and all the normal purse things, cross-body strap, pockets, and durable. I don’t change purses often, so I wanted to find the right one. And I did! Lego Table – For Ben’s birthday, I wanted to give him a huge Lego table that would fit in his bottom bunk, and I love how it turned out! Greg got a piece of wood cut at Lowe’s that would sit down in the bunk bed. I ordered enough off-brand base pieces to cover that piece of wood and glued them down. Greg trimmed the edges with a Dremel tool. Ben told me it was the best birthday present ever, and I’m happy the Legos now live off the floor. “Secret Daughter” by Shilpi Somaya Gowda – I bought this paperback at a book sale for 50 cents this past summer. I wish I’d picked it up sooner because I really loved this fiction story about family that spans two countries. The story provides bittersweet peeks into culture in India, international adoption, and motherhood. “The Storm-Tossed Family: How the Cross Reshapes the Home” by Russell Moore – Usually I read quickly, but I’ve been taking this one slow over the past several weeks because there is a lot to digest. Moore’s perspective on marriage, children, and church family is encouraging, convicting, and thought-provoking. “Come Let Us Adore Him: 24 Daily Advent Devotional” by Paul David Tripp – I’m excited to read this devotional as Christmas approaches. “Manifest” – Greg and I have been binging the episodes we had on our DVR. We’re caught up and totally intrigued. “Grinch” – On Thanksgiving evening, we went to see this new movie in the theater. I love going to the theater and I especially loved watching this one with my youngest, who laughed at all the right parts and ate her body weight in popcorn.